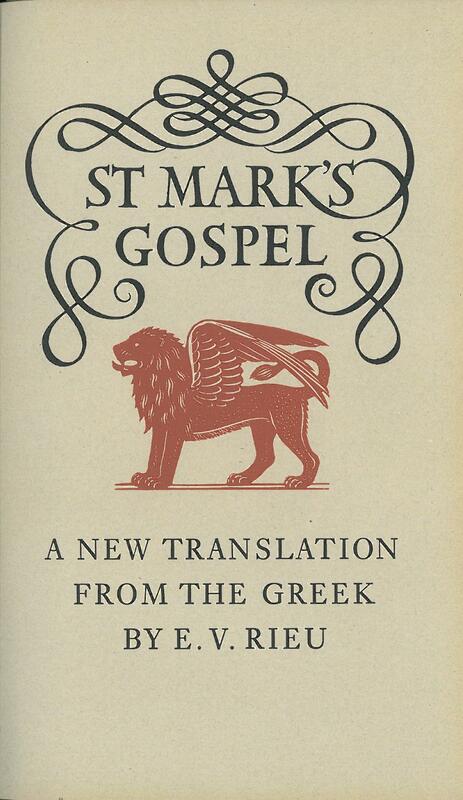 Comments: The colophon reads: "One thousand two hundred and fifty copies of this edition of St mark;s Gospel have been printed at The Curwen Press, London, E13, on Arnold and Foster's Grey Mould-make, and bound there for Allen and Richard Lane for Christmas 1951. 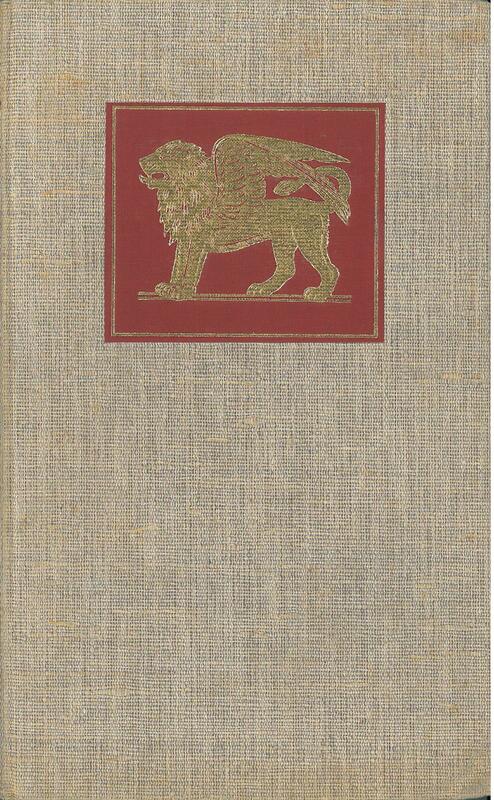 The decorations were engraved on wood by Reynolds Stone and the type is Monotype Ehrhardt. 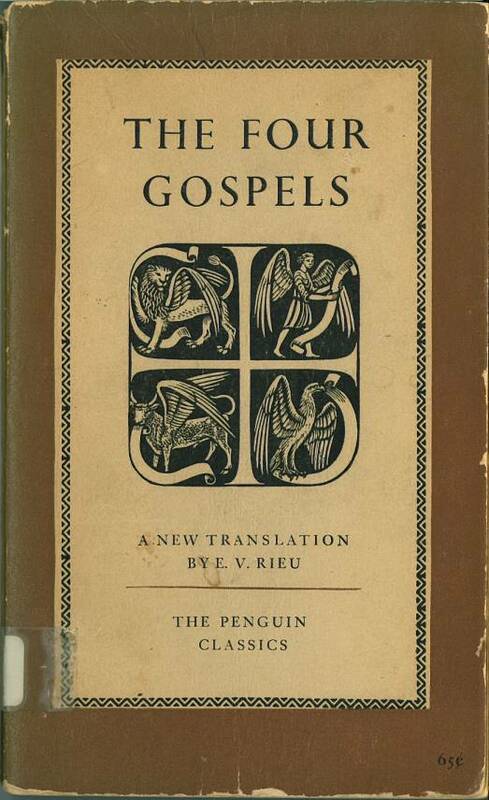 Passages from the First and Fourth Chapters of the Gospel were reproduced on the end-papers from the Clarendon Press facsimile edition of Codex Sinaiticus, now in the British Museum. 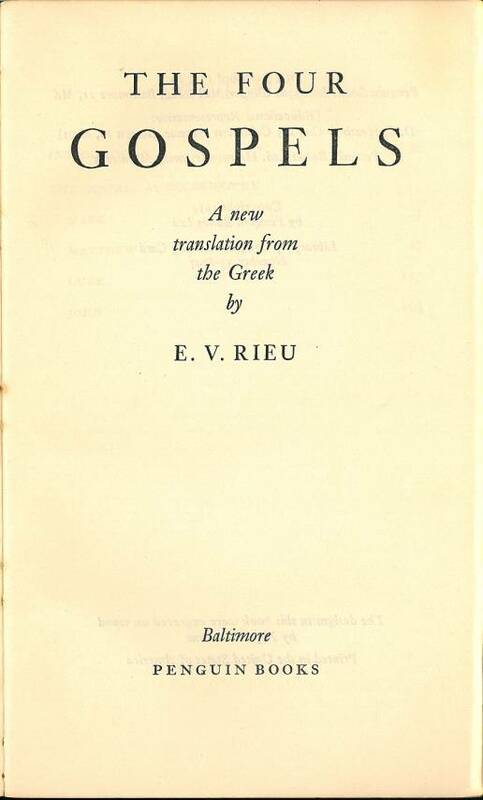 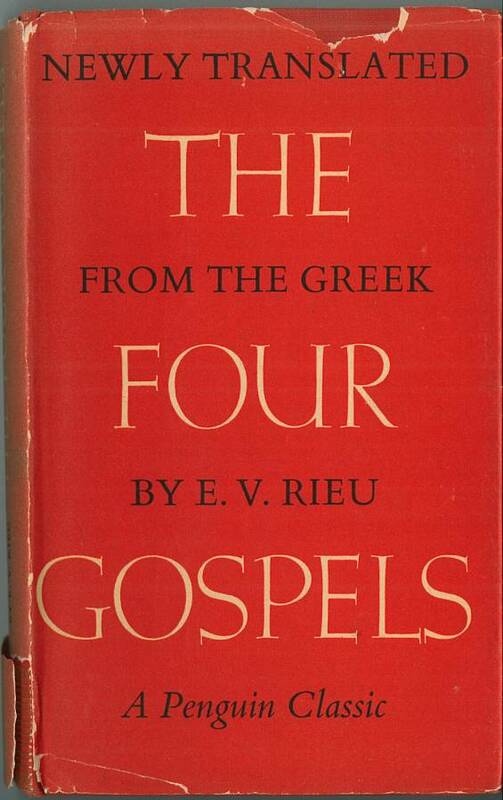 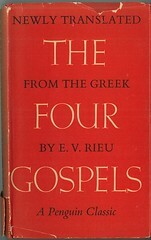 The rendering by Dr. E. V. Rieu is from his translation of the Four Gospels, shortly to be published." 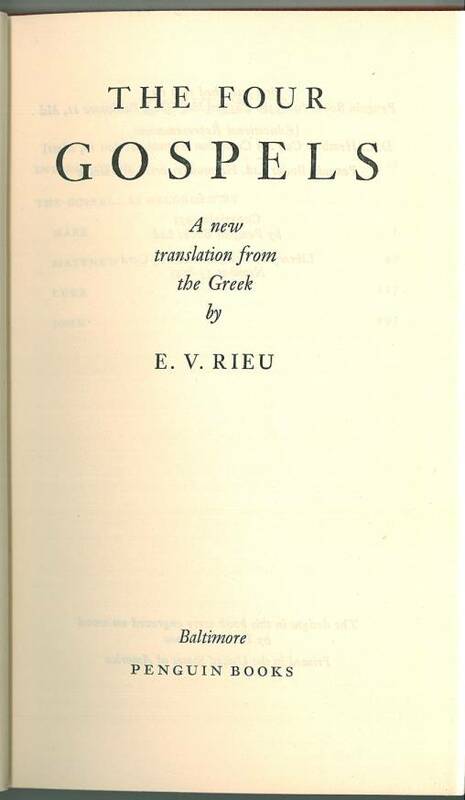 Comments: Also available in paperback.